Effortlessly collect, show and manage customer reviews with the one and only Trustbadge® technology for your ekmPowershop website! Once integrated, it updates automatically. Enter your unique Trusted Shops ID into the relevant box and your personal integration code will be generated. If you don't have an account yet, it's free and easy to sign up. Insert the HTML code below together with your personal integration code generated in step 1 onto the Order Confirmation (Thank you) page of your shop. In order to do this, log in to the back end of your ekmPowershop and selectSettings >> Checkout. Scroll down and click on the Order Complete graphic in the Checkout Steps section. 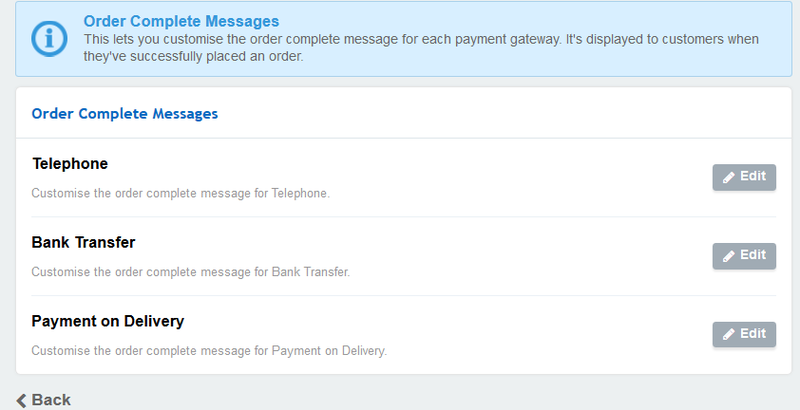 Click the Edit button at section Order Complete Messages and select a payment method, and switch to the Source view in the editor. 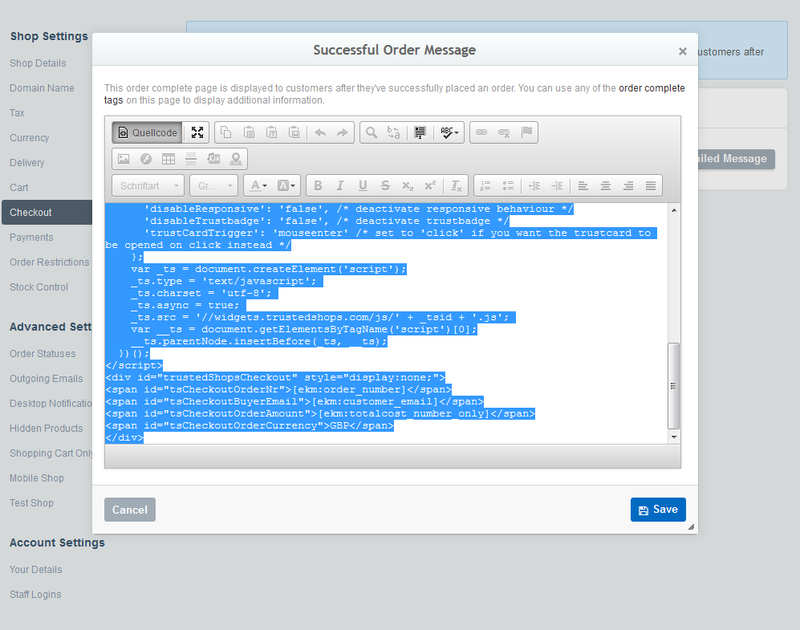 Enter your personal integration code generated in step underneath the existing instructions. Now click on Save at the bottom of the edit frame to save your changes. Repeat this step for every payment type that is configured in your shop. Again from the back end of your ekmPowershop, click on Design and identify your current Theme. Click on the small pencil button and select Edit in custom mode. Scroll down to the very bottom of the text field, searching for the phrase “</body>”. Enter the copied code from Step 1 in the line above this phrase, and save these settings. You have successfully integrated the Trustbadge®, congratulations! The good news is that your Trustbadge® is already requesting reviews automatically. To invite previous clients to leave a review, start using the Review Collector and continue reading to learn how to export needed data within ekmPowershop! Choose Single Line on the next page, then download and save the XML file. Open it in a spreadsheet programme on your computer (i.e. Microsoft Excel).